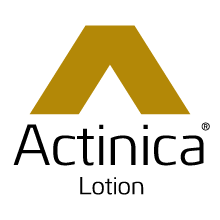 Actinica® Lotion is a highly effective medical device with broad spectrum UV protection. It has been developed especially for people who are at a higher risk than others to develop skin cancer due to UV exposure. For more information please click here www.actinica.eu.